They are moving into a new home with dated bathrooms and wish to update the look while not spending a fortune on entire bathroom renovation. They have lived in their home for a while and realize it's time to give their kitchens, bathrooms and other tiled areas a refreshing new look. There are stains, mildew, and other spots of discoloration throughout one section or the entirety of their tiles areas and want to clean it to restore its original look. Lucky for our customers, Tile and Grout Cleaning Sacramento tile and grout cleaning service technicians have a wealth of knowledge in the above situations. They are experts in their field, and know everything there is to know about how to clean tile and how to clean grout. Whether you have glazed or unglazed ceramic tile, marble tile, glazed porcelain tile, etc., Tile and Grout Cleaning Sacramento can restore your tiled area to its former beauty. They have used an improper cleaning solution on their tile or grout and have done worse damage to the area, such as putting a cleaning solution with bleach onto colored grout and bleaching the color away. 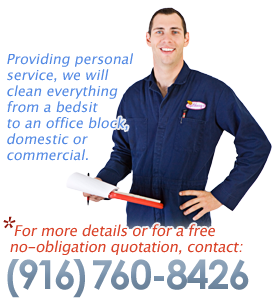 Tile and Grout Cleaning Sacramento offers many different services and options for cleaning your tile and grout. We can even achieve clean tile floors in an environmentally friendly way! We would do this by steam cleaning the tile. Many people think steam cleaning is only used for carpet floors, but in fact there are many different types of flooring that benefit greatly from steam cleaning. We haven't met many people who love spending their time and money on tile cleaning and grout cleaning. For this reason, we aim to make the process as painless for you as possible. Our service takes little of your time, saves you from scrubbing the tile and grouts yourself, and saves you money on ineffective cleaning products. Most importantly, we are 100% sure that the beautiful tile and grout resulting from our service will more than pay for itself. Please call Carpet Cleaning Sacramento at (916) 760-8426 today to learn more about all the services we offer in your immediate area!